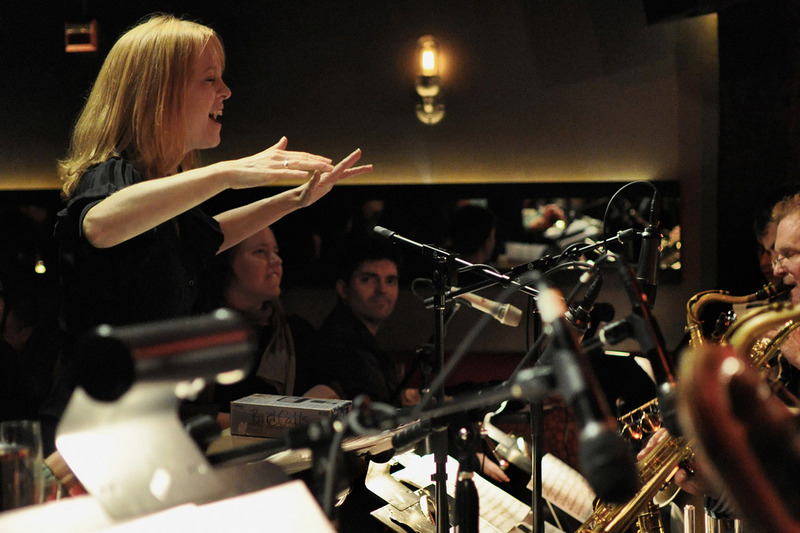 Maria Schneider (composer, musical director); Jan Kaare Hystad, Børge-Are Halvorsen (alto saxophone, woodwinds); Nils Jansen (tenor saxophone, woodwinds); Atle Nymo (tenor saxophone, bass clarinet); Shannon Mowday (baritone saxophone); Anders Eriksson, Frank Brodahl, Hayden Powell, Marius Haltli (trumpet, flugelhorn); Even Kruse Skatrud, Kristofer Kompen, Nils Andreas Granseth (trombone); Ingrid Utne (bass trombone); Irene Tillung (accordion); Jens Thoresen (guitar); Olga Konkova (piano); Per Mathisen (bass); Håkon Mjåset Johansen (drums). Sometimes, accidental meetings turn into long-term collaborations. A few years ago, Maria Schneider (1960) was invited to play at a jazz festival in South Africa. The festival’s artistic director had already booked the quirky Norwegian band Ensemble Denada for the event. The decision was made to have them, accompanied by several South African musicians, perform Schneider’s music, conducted by the composer herself. Everyone was so pleased by this collaboration that they decided to repeat it this year. Maria Schneider is one of the greatest arrangers and composers of orchestral music of our day, continuing the tradition of Gil Evans. With her delicate way of composing and conducting, she adds a striking new dimension to the sound of a large, 21st century jazz ensemble. This has brought her five Grammy Awards; one of which was for her work with David Bowie on the single Sue (Or In A Season Of Crime). Her latest album, The Thompson Fields, also won a Grammy.